The HCV Manifesto brings awareness of the problems widely faced by HCV+ people, and how they may be solved. DOWNLOAD PDF/READ the HCV Manifesto HERE. SHOW YOUR SUPPORT by sharing it with your family, friends, Social Media, company, service club, charitable organization, church, union, political group, or any other organization! to access appropriate health care and to be consulted on policies and programs which affect us. We condemn attempts to label us as “victims,” a term which implies defeat, and we are only occasionally “patients,” a term which implies passivity, helplessness and dependence upon the care of others. We are “People with HCV.” Some of us also have co-infections such as HIV/AIDS or hepatitis B (HBV). It is up to co-infected people to identify with and seek help from organizations that best meet our needs at a given time. • Support people with HCV in our struggle against discrimination based on our HCV+ status, including such actions as excluding us from our choice of job or residence, denying us insurance, denying us the same standard of medical care given those with other diseases, or segregating us from others. • Avoid scapegoating people with HCV, blaming us for the epidemic or generalizing about our past or current lifestyles. Avoid asking people with HCV how we contracted the disease; it is irrelevant. • Support broader testing of baby boomers, and other groups that are most affected by HCV based on epi-data, to locate people who have HCV but do not know it so that they may be offered life-saving treatment and support. • Support a research agenda committed to delivering cures for HCV and hepatocellular cancer, and for reversing cirrhosis. In order to expedite improvements to their treatments, integrate into the very beginning of clinical trials investigations involving people with cirrhosis, those with co-infections such as HIV/HCV or HBV/HCV, or those who have previously failed treatment. • Support greater and meaningful involvement of people with HCV at all levels of civil society, community organizations, and government (volunteers, staff, spokespeople, and decision-makers). • Support HCV prevention messaging which ensures educational materials do not reinforce stigma. • Support stable and proportionate funding for HCV organizations and groups which reflects the burden of the disease. When appropriate, include people who are mono-infected with HCV (95% of all people with HCV) in funded programs for HIV+/HCV+ co-infected people. • Support universal access to harm reduction supplies so that all people can have the option of choosing low risk behaviours. • Forming groups to choose our own representatives, deal with the media, select our agenda and plan our own strategies. • Being involved at every level of decision-making and specifically serving on the boards of directors of HCV service-provider organizations. • Participating in all HCV forums with equal credibility as other participants, to share our lived experiences and knowledge. • Substituting low-risk behaviours for those behaviours involving blood-to-blood contact which could endanger others. • To affordable, universal access to the best treatment available, regardless of where we live or how we contracted the disease, linguistic or cultural barriers, sexual orientation or gender identity, incarceration, level of education, or other non-relevant criteria such as socioeconomic or immigration status. • To be treated within our home communities whenever possible; this includes addressing regional inequities by training and supporting rural and remote HCV treatment teams through technological innovations such as tele-medicine or mobile health. • To initiate treatment without requiring clinical proof of substantial liver damage, since available evidence shows that treatment is more effective before such damage occurs. • To affordable, universal access to secondary treatments which mitigate serious or debilitating conditions associated with either chronic HCV or treatment side-effects. • To regular monitoring of internal organ functioning, especially for those with cirrhosis or extra-hepatic HCV complications. • To non-invasive alternatives to biopsy whenever possible. • To access liver transplantation when medically required; this includes addressing regional inequities by providing supportive care and accommodation for patients coming from outside a transplant centre. • To full explanations of all medical procedures and risks. • To privacy, to confidentiality of testing and medical records, and to human respect. 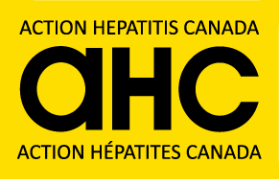 DISCLAIMER: Signing this Manifesto in no way signifies support of the organization HepCBC Hepatitis C Education and Prevention Society (HepCBC). This society (HepCBC) is serving as a point for collection and sharing of this Manifesto, but does not claim ownership of it. ACKNOWLEDGEMENTS: While this HCV Manifesto is a “work in progress,” the authors wish to acknowledge the previous groundbreaking work of the HIV/AIDS community from which many of the above wordings have been adapted, such as the Denver, GIPA, MIPA, and “Nothing About Us Without Us” principles. Some items also have been adapted from the Canadian Treatment Action Council’s “Treatment Access Bill of Rights” document © 2013 by CTAC.